lightweight string headed mower on wheels, easier to use and more productive on overgrown lawns than a hand held weedeater style unit. 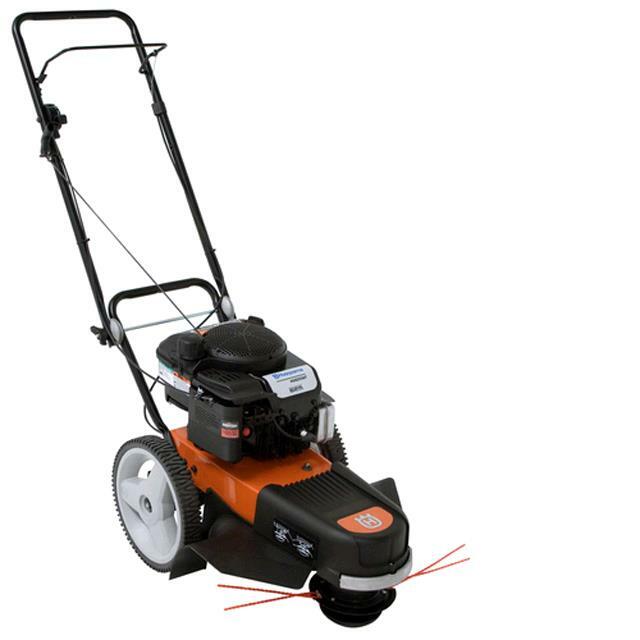 6 HP Gas powerd mower with replaceable precut poly stringlines. * Please call us for any questions on our mower/weedtrimmer string 6hp rentals in Portland OR, Gresham OR, Milwaukee OR, and surrounding metro area.